An exploration of how former terrorists function during peacetime and whether aging ex-paramilitaries still find purpose in their lives. The removal of the last loyalist UDA paramilitary mural in North Belfast. In an attempt to modernize and in alliance with the progression of other cross-community initiatives the organization has committed to replacing traditional murals with those incorporating a more community friendly ethos. Members of the paramilitary group the UVF (Ulster Volunteer Force) clash with police at a protest against a Catholic parade. The UVF as an organization has not yet engaged in the reimaging process and remains embroiled in allegations of violence, extortion and drugs. 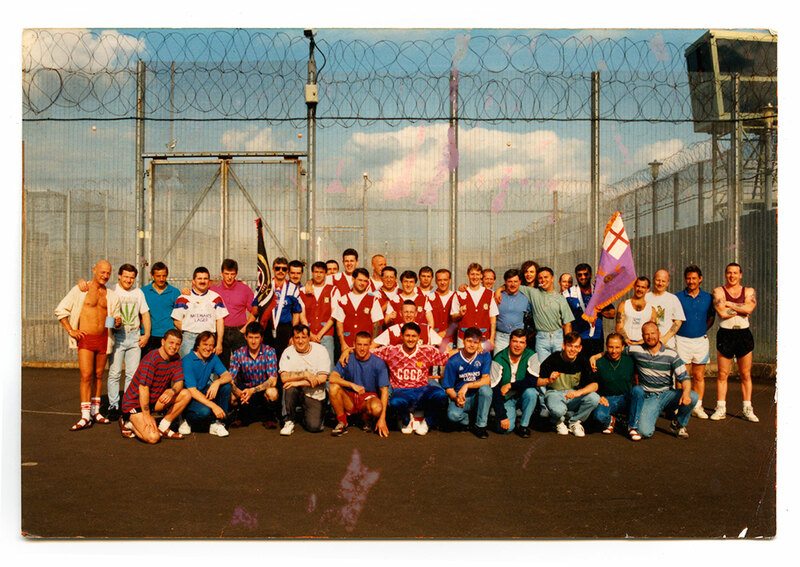 A photograph of Tommy and friends inside the Maze prison in the 1990s. (The Maze prison was used during the Troubles (a period of inter-communal violence and strife which lasted for approximately 3 decades from the 1960s to 1998, when the Good Friday Agreement ended outright hostilities) to house paramilitary prisoners. It was closed in 2000 and partly demolished. 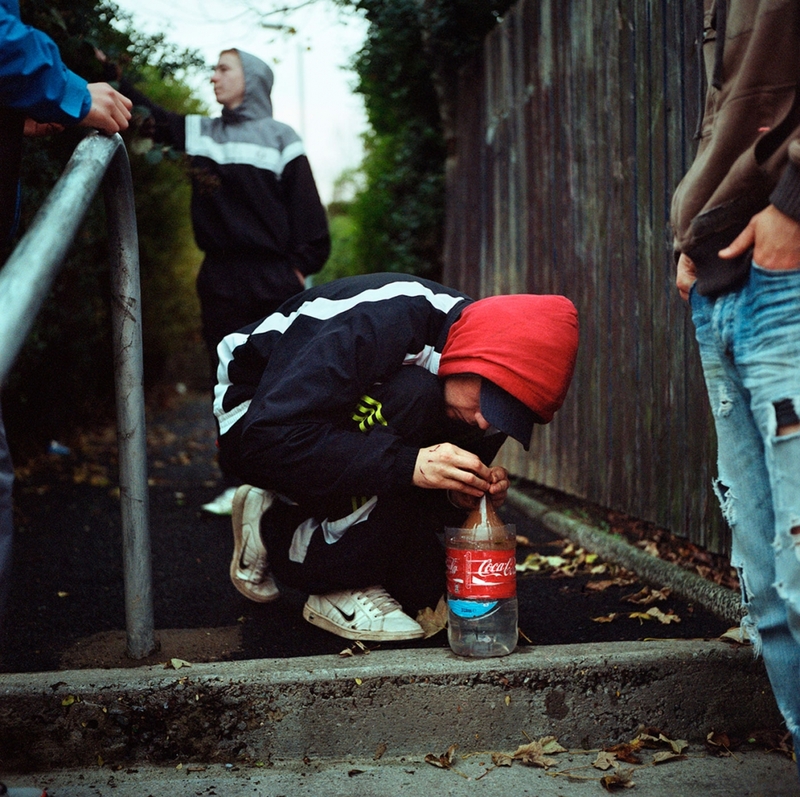 Youth in the Ballysillan area of North Belfast smoke marijuana 'buckets' in public using a bong made from a plastic bottle. 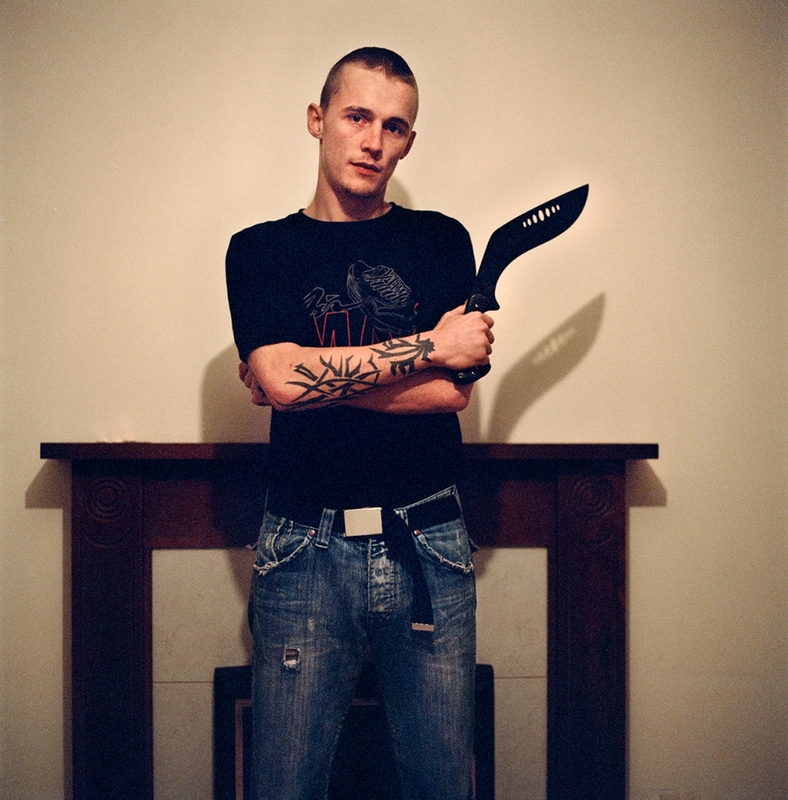 Many of the young people loathe paramilitary groups such as the UDA (Ulster Defense Association, a loyalist paramilitary group) who now refuse to take on new recruits. 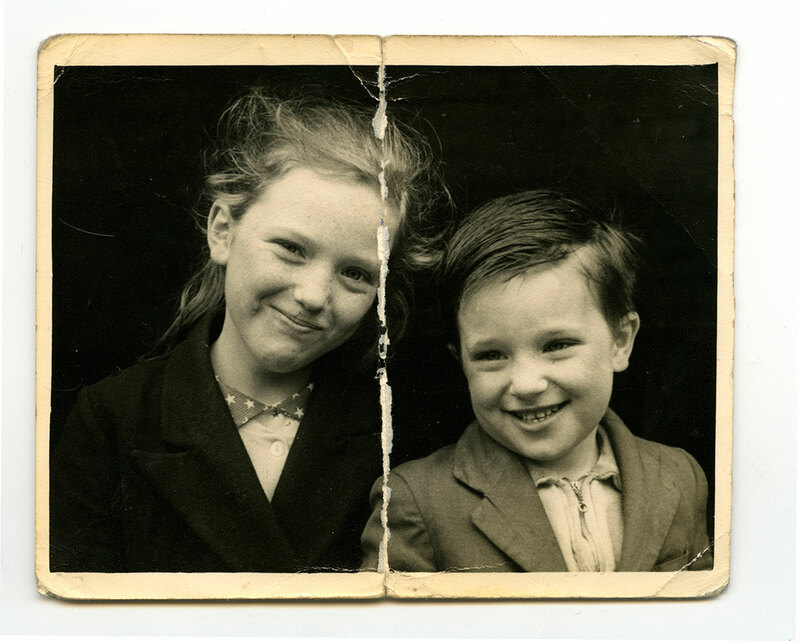 A photographs from Tommy's family album: 'Me and my big sister Rose. She never let me down. Now she is in a home. The drink beat her. Love you big sis.' 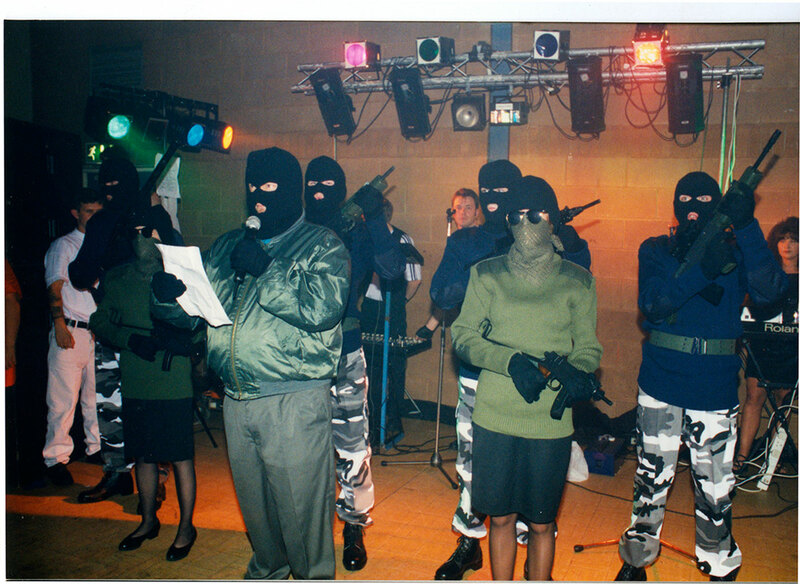 Tommy has been an active UDA man for years. He did a couple of spells in prison for attempted murder and possession before being eventually released under the Good Friday Agreement. He now works tirelessly in trying to prevent local youth from making the same mistakes. 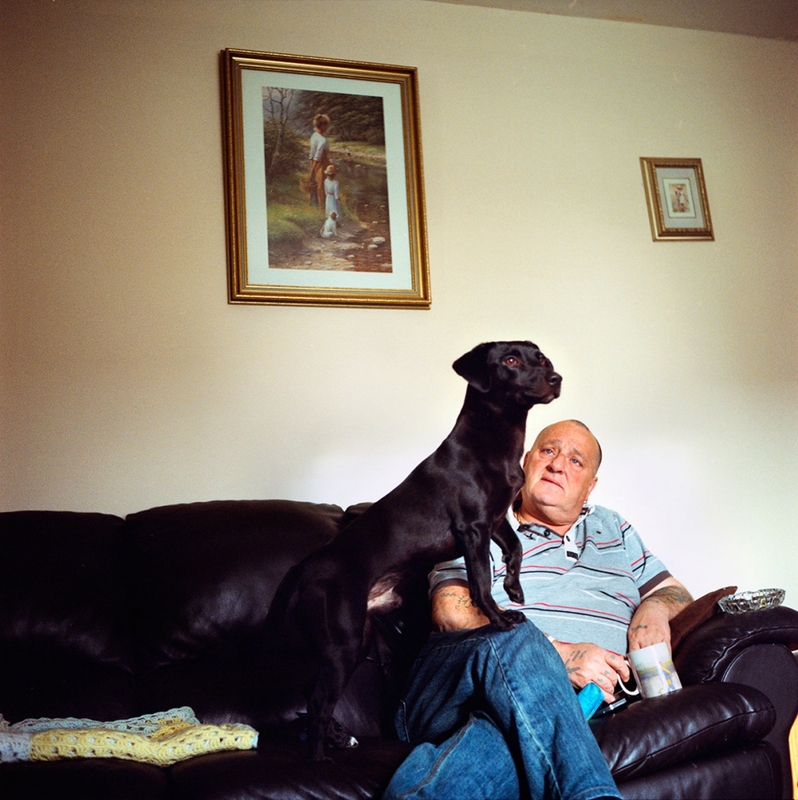 Tommy and his dog Alex at his home in Upper Ardoyne, Belfast. 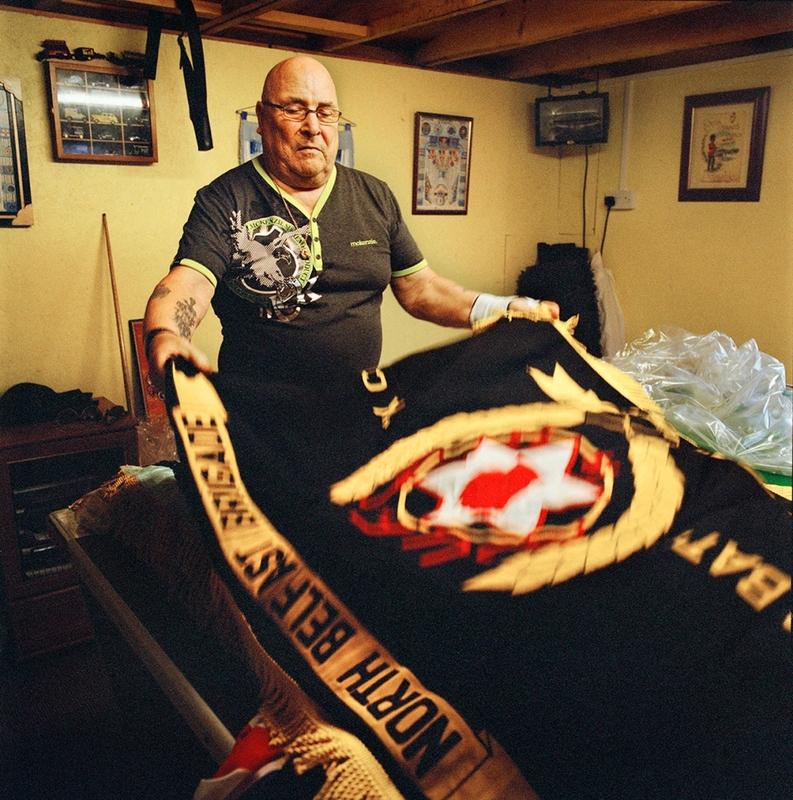 Tommy is a former member of the Ulster Defense Association (UDA). He served time in the Maze Prison, a complex which was used to house paramilitary prisoners during The Troubles, a period of sectarian violence and strife which lasted for approximately 3 decades from the 1960s to 1998, when the Good Friday Agreement ended outright hostilities. 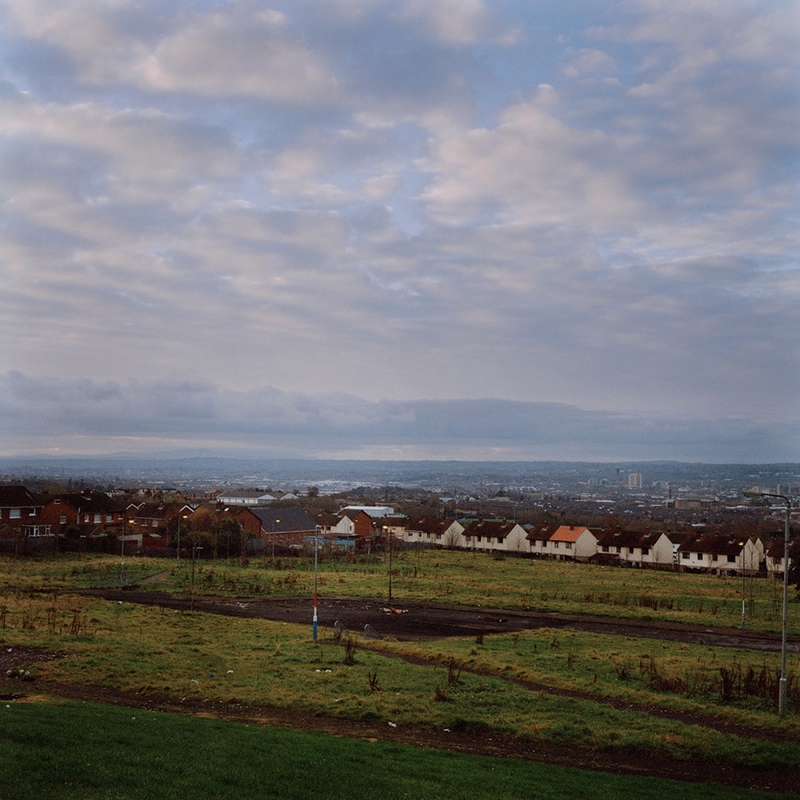 A view from the loyalist Tiger's Bay area overlooking the nationalist New Lodge estate in Belfast. During The Troubles (a period of inter-communal violence and strife which lasted for approximately 3 decades from the 1960s to 1998, when the Good Friday Agreement ended outright hostilities) the meeting point of these two communities was a particularly violent flashpoint. A young boy in Ballysillan estate plants flower bulbs as part of the final reimaging effort in the area. 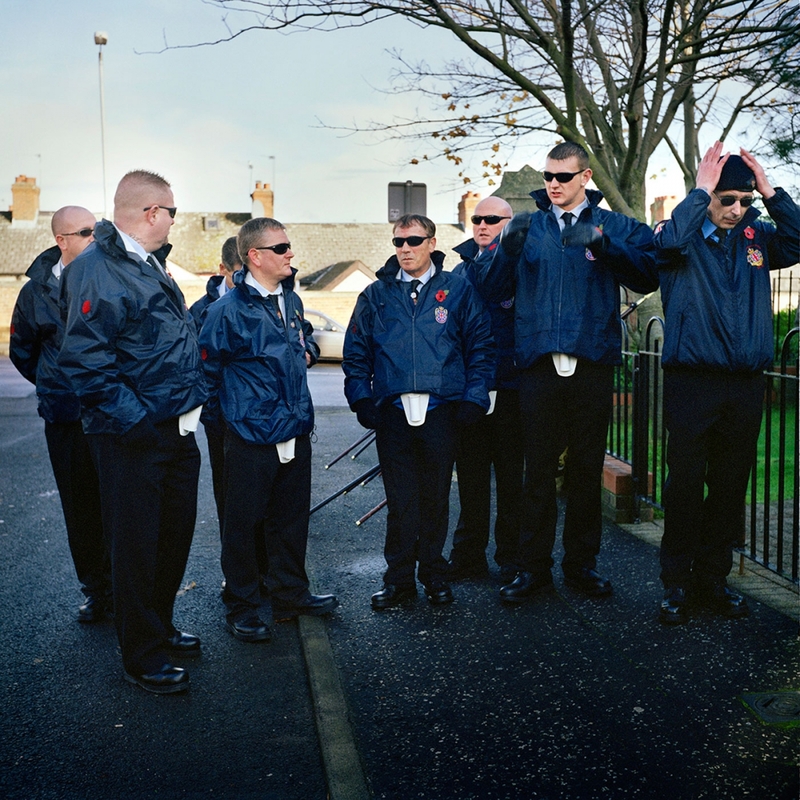 Remembrance Sunday service 2010 for the North Belfast battalion of the UDA at Tigers Bay estate. The names of fallen comrades – UDA members killed in ‘the Troubles’ are read aloud with reefs and crosses placed by family and friends. Wasteland looking down from North Belfast over the city. Flag poles are seen painted in red, white and blue which are the colors that form the British Union Jack flag. This is a traditional method of marking territory in Protestant estates. 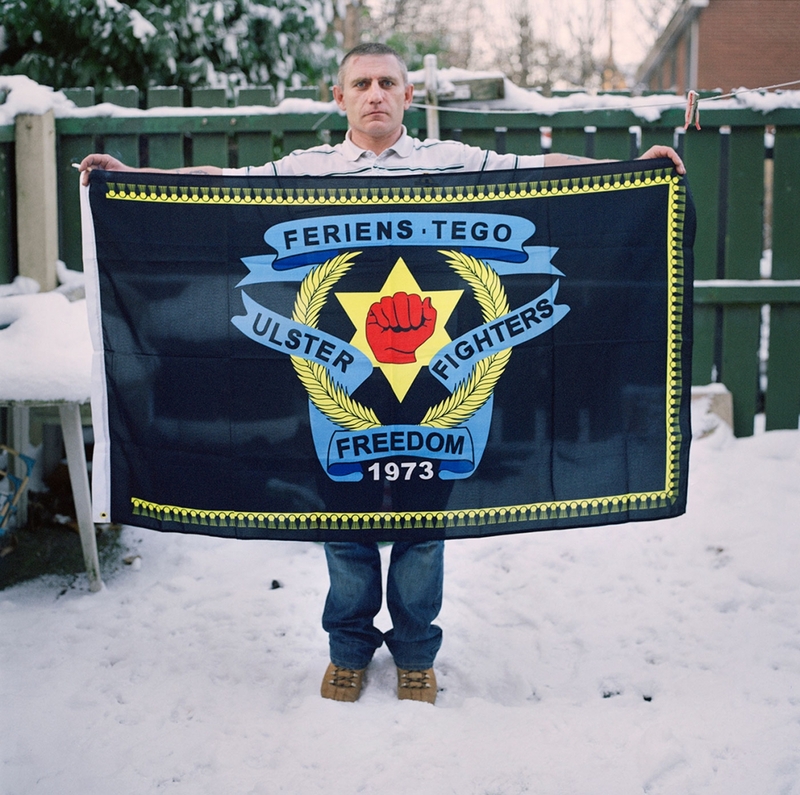 Graeme holding an Ulster Freedom Fighters (UFF) flag in Belfast. The flags were banned as part of the Good Friday Agreement since they are a sign of open support for a terrorist organization. Graeme grew up in northern England and spent years smuggling narcotics from mainland Europe for various crime syndicates. He eventually moved to Belfast and joined the UFF (Ulster Freedom Fighters) the armed wing of the UDA. Graeme now works with his close friend Tommy in attempting to keep local youth on the correct path. 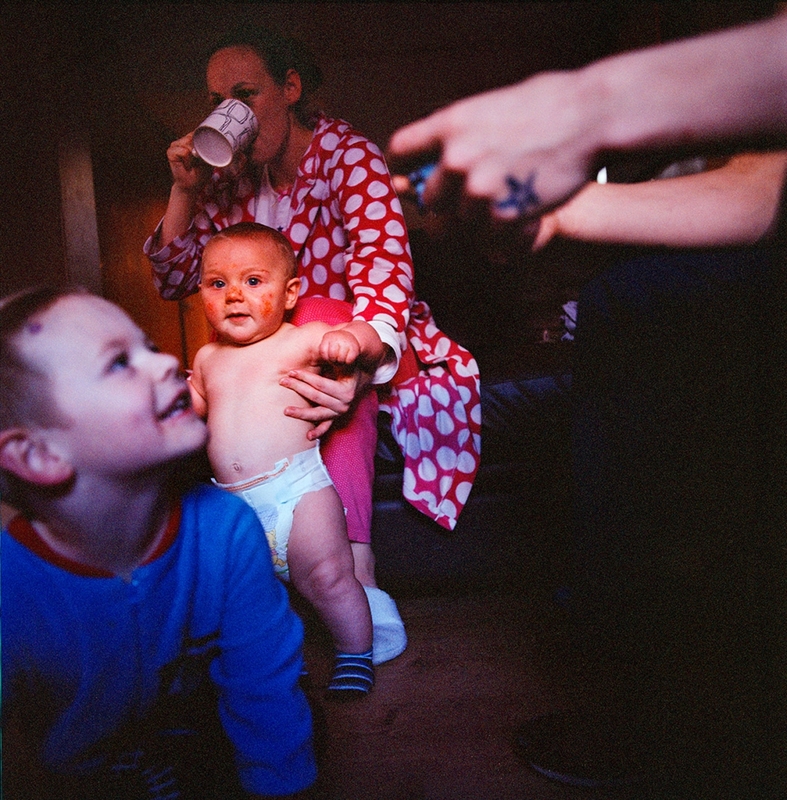 Kenneth aka 'Mucker' playing computer games with his girlfriend Maxine, who is drinking a cup of tea, and sons William and Cohen in their home in Tigers Bay, Belfast, a traditionally loyalist part of town. Kenneth, his girlfriend Maxine and their son were forced to leave Northern Ireland and flee to Scotland after Kenneth was accused of selling drugs by a paramilitary group. After two years in Scotland they returned and Kenneth joined the Ulster Defense Association (UDA) in an attempt to seek protection. Jimmy showing some of the flags he maintains for UDA. He has been with the organization from the early vigilante days through the Troubles and the loss of his son, murdered by the republican INLA (Irish National Liberation Army). 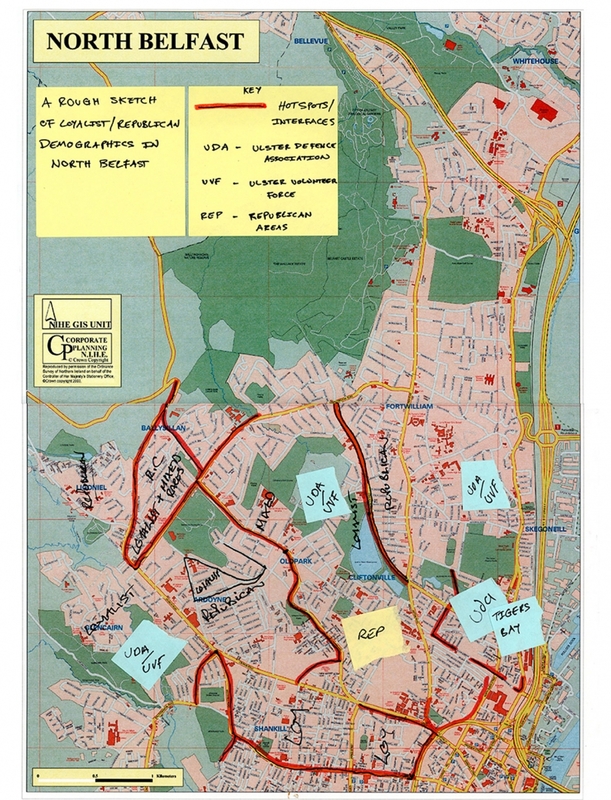 A map of north Belfast with annotations marking the religious and paramilitary division. Flag bearers stand in a group at the 2010 Remembrance Sunday service for the North Belfast battalion of the Ulster Defense Association (UDA) at Tigers Bay estate. In the past this occasion would have been showcased with a full color parade with UDA members wearing military uniforms and firing guns as a mark of respect. 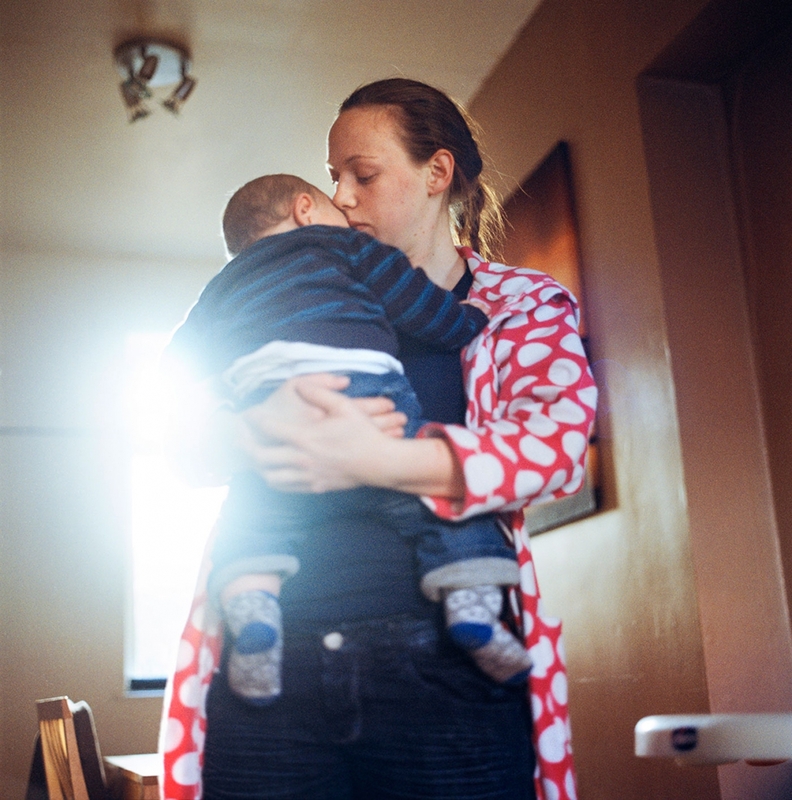 Maxine hold her son Cohen at their home in Tigers Bay in 2010. 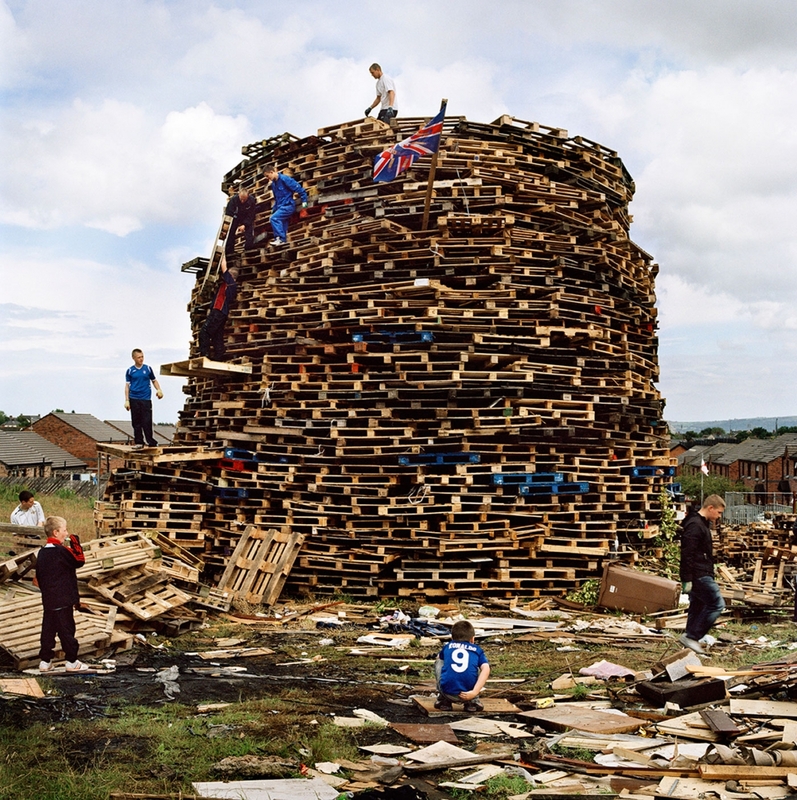 Youth in loyalist Upper Ardoyne continue in the tradition of building a bonfire to be set alight on the evening of July 11th each year. This event marks the official start to the July celebrations. 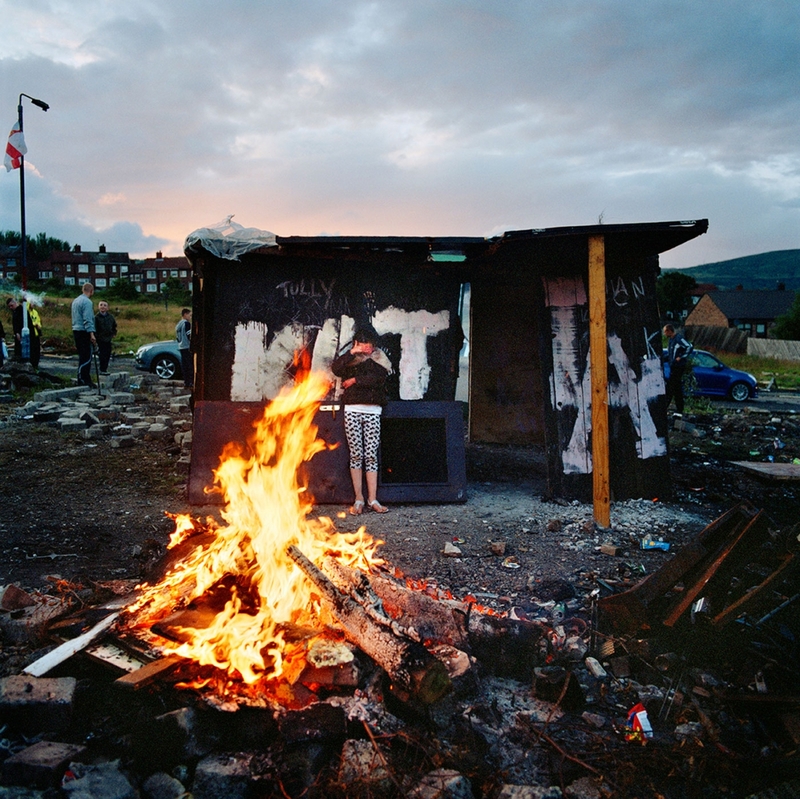 Young people in Protestant estates such as this spend weeks scavenging for wood and other materials used to build the structure and even stand watch in the evenings leading up to July 11th as they fear that the it may be attacked and destroyed by rival Catholic youth. 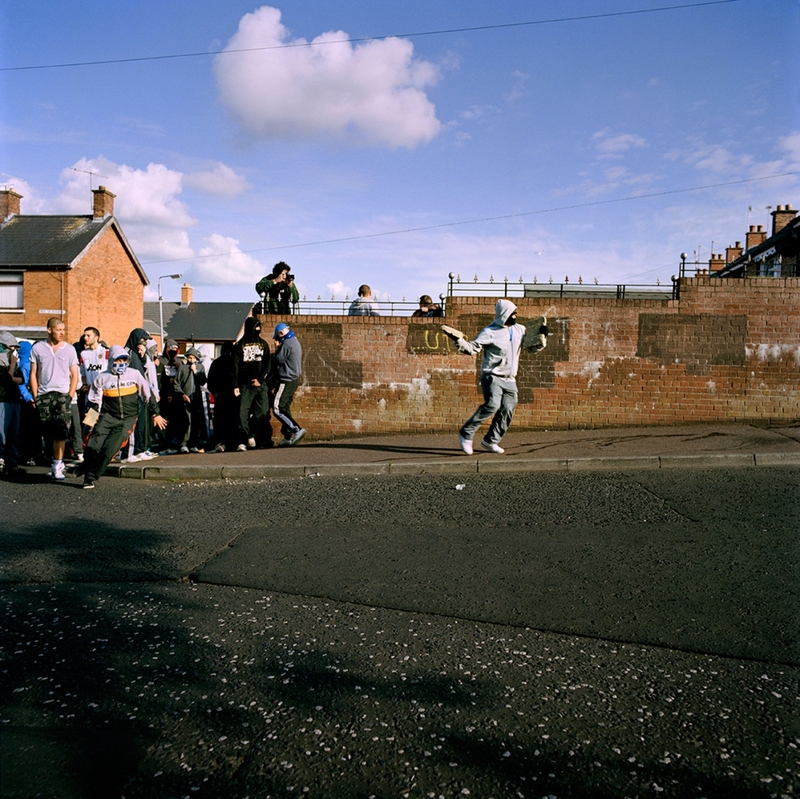 Youths in the loyalist Upper Ardoyne part of Belfast prepare for the bonfire to be set alight on the evening of 11 July. This event the '11th Night' marks the official start to the July celebrations. It is followed by 'The Twelfth' (also known as Orangemen's Day) which celebrates the 'Glorious Revolution' of 1688 (when Protestant king William III ascended the English throne) and the Battle of the Boyne (when William III defeated the catholic claimant James on the east coast of Ireland). Republican youths in the Nationalist / Republican Ardoyne area of Belfast attack police in an attempt to disrupt a loyalist band marching past their estate during the annual July 12th parades. The yearly marching season often sparks trouble between Protestant and Catholic communities living in close proximity to each other. It is held to commemorate the victory of Protestant king William III over the Catholic king James in 1690. For many it remains a focal point in the Protestant calendar. 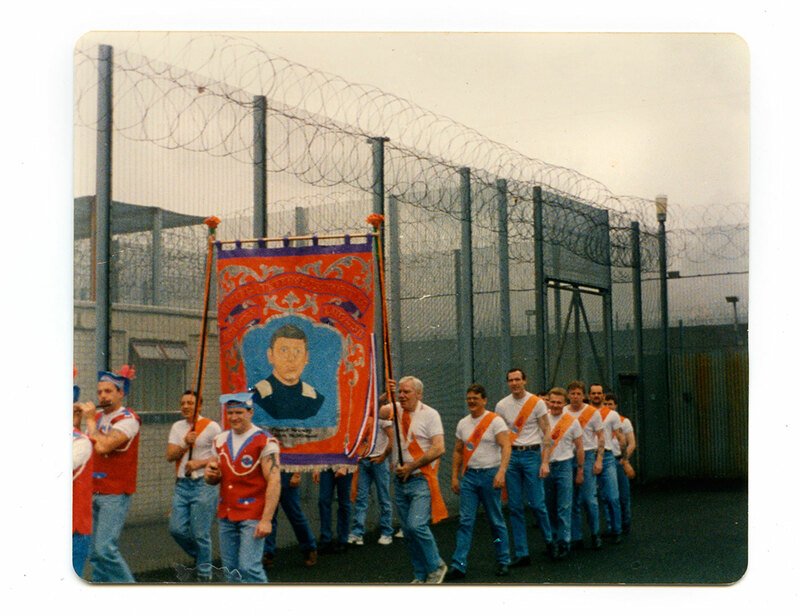 A photograph showing Tommy and friends inside the Maze prison marching on the 12th July. 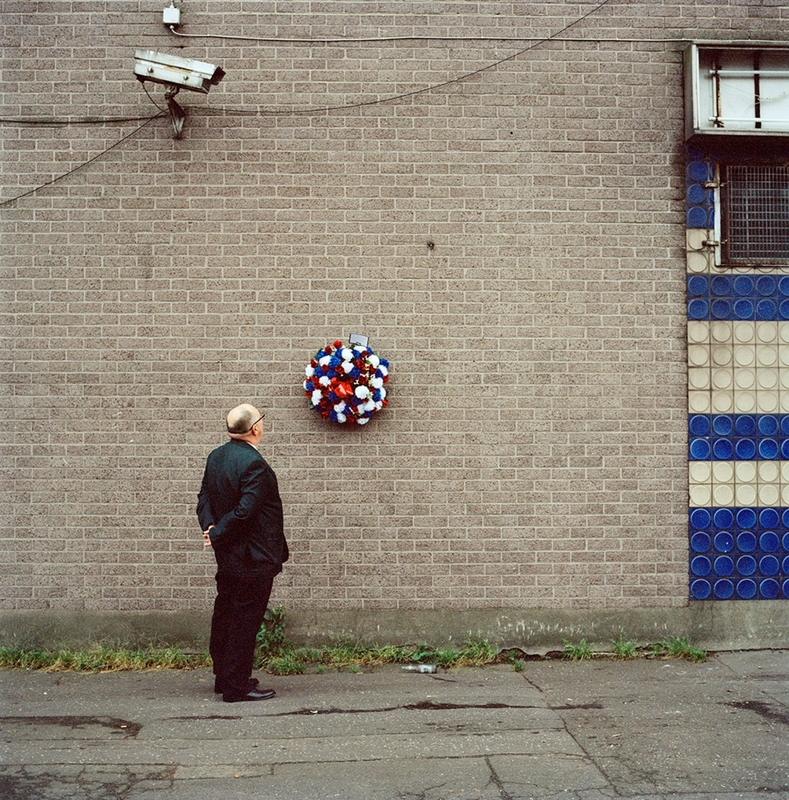 Tommy stands looking at a wreath placed for murdered Ulster Defense Association (UDA) men Steven Goatley and John Fulton on the York Road in a loyalist part of Belfast. They were both killed by the Ulster Volunteer Force (UVF) during a loyalist feud in 1975. 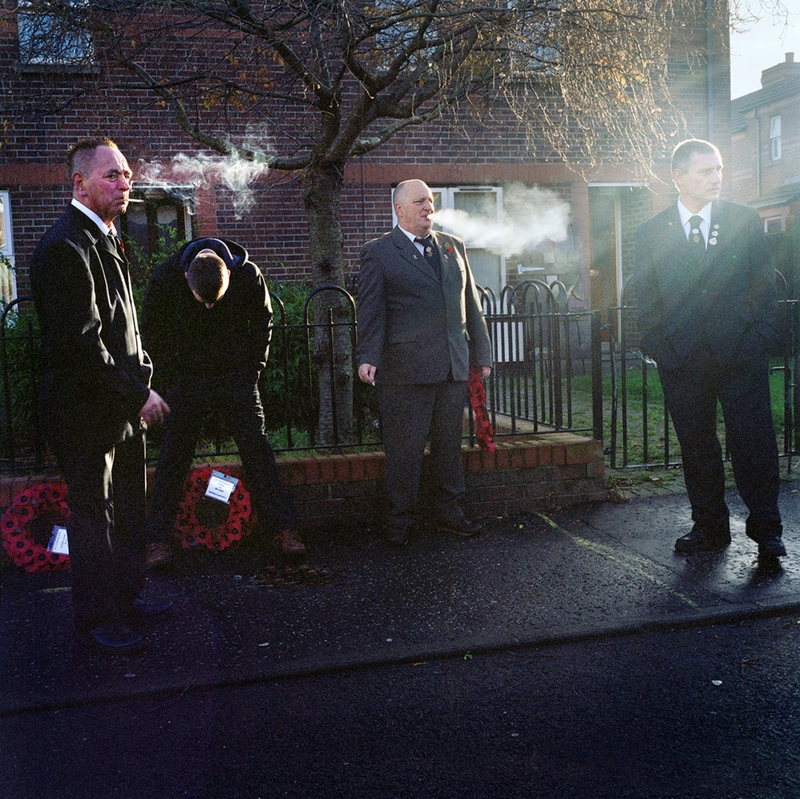 A photographs from Jimmy's family album: An Ulster Defence Association (UDA) show of strength with men and women in uniform, holding guns, in north Belfast during the mid 1990s. These events were held to remind people of the strength and determination of the organisation and intended to raise fear in the nationalist community. 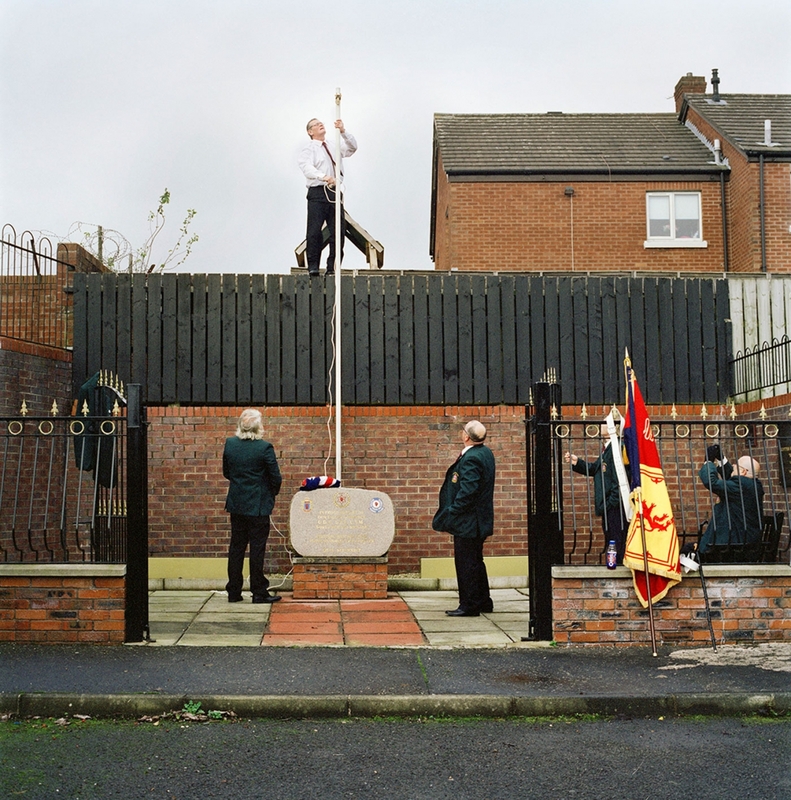 Graeme, Tommy and Jimmy on Remembrance Sunday in 2011 in Belfast. 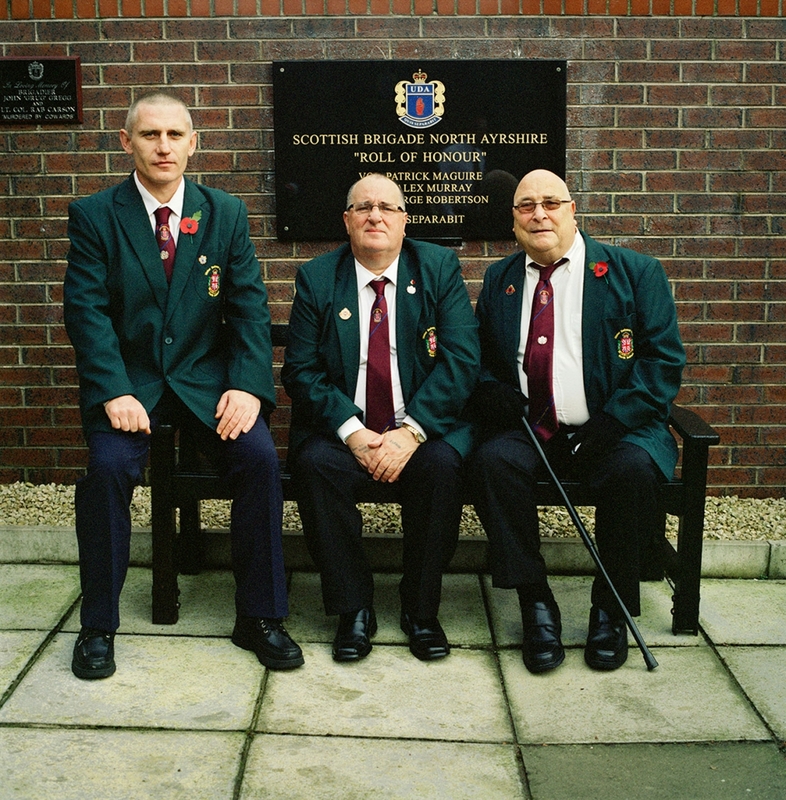 Tommy (middle) is a former member of the Ulster Defense Association (UDA). Kenneth aka 'Mucker' shortly after he was arrested after being caught stealing copper piping from a house. The UDA then expelled him for this citing that he was bringing negative publicity upon them. He is now on his own, and without their protection he is convinced various groups are coming to attack him. A photographs from Jimmy's family album. 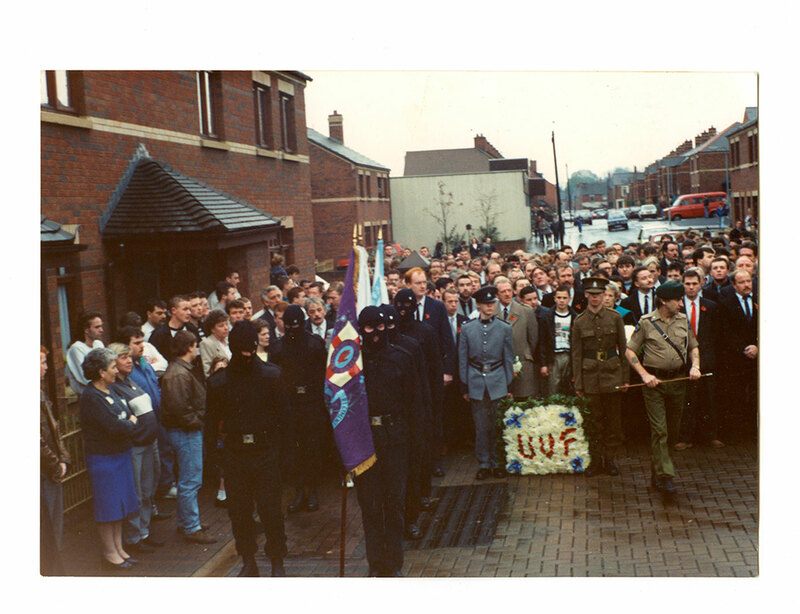 A Ulster Volunteer Force (UVF) funeral in Belfast in the late 1980s with full color brigade. Jimmy's son is one of the men wearing a balaclava. He was later murdered by members of the INLA (Irish Nationalist Liberation Army). 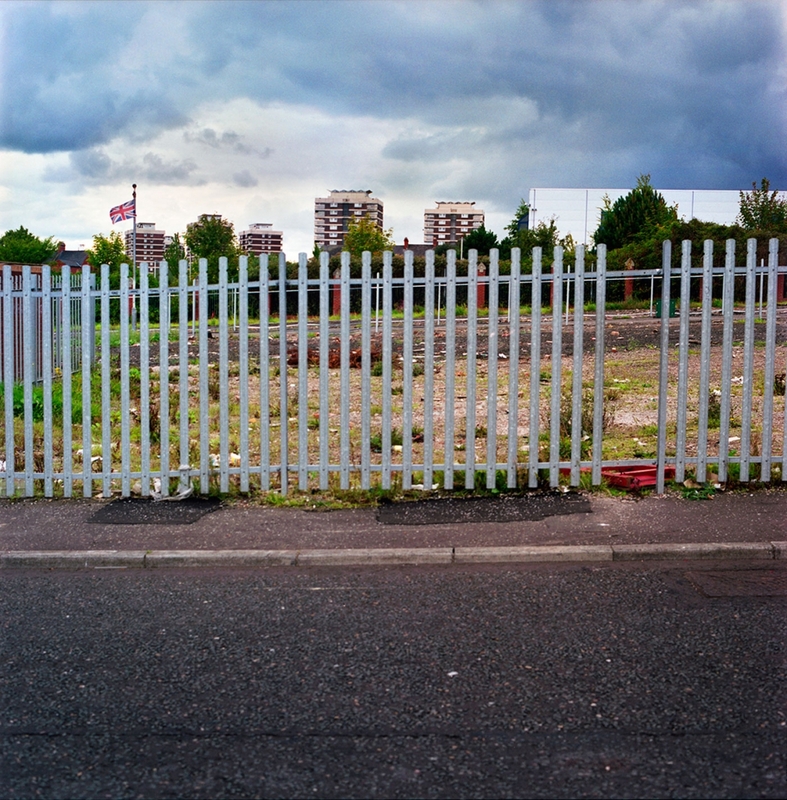 In 2010 I returned to live in my native Northern Ireland. After a decade of official peace I wanted to explore how former terrorists were functioning today during peacetime, and whether aging ex -paramilitaries still found purpose in their lives. 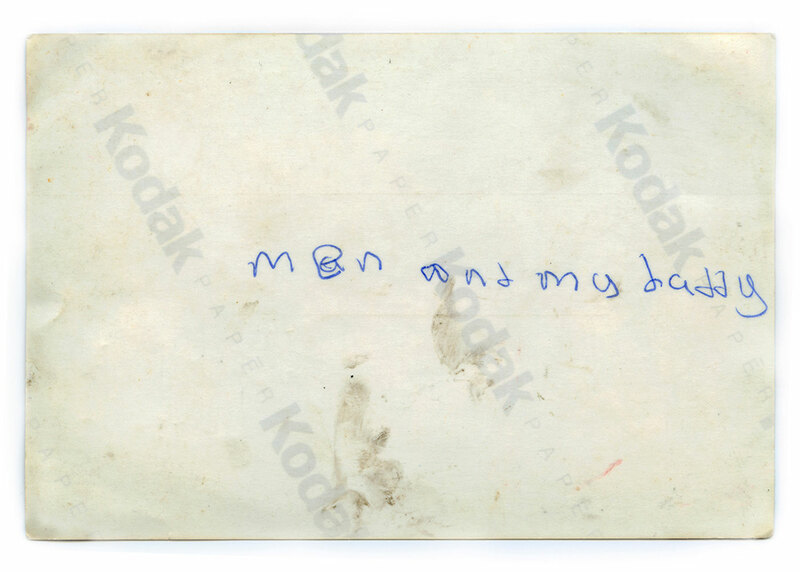 For the project I focused on a loyalist enclave in north Belfast, and I called it Men and My Daddy. 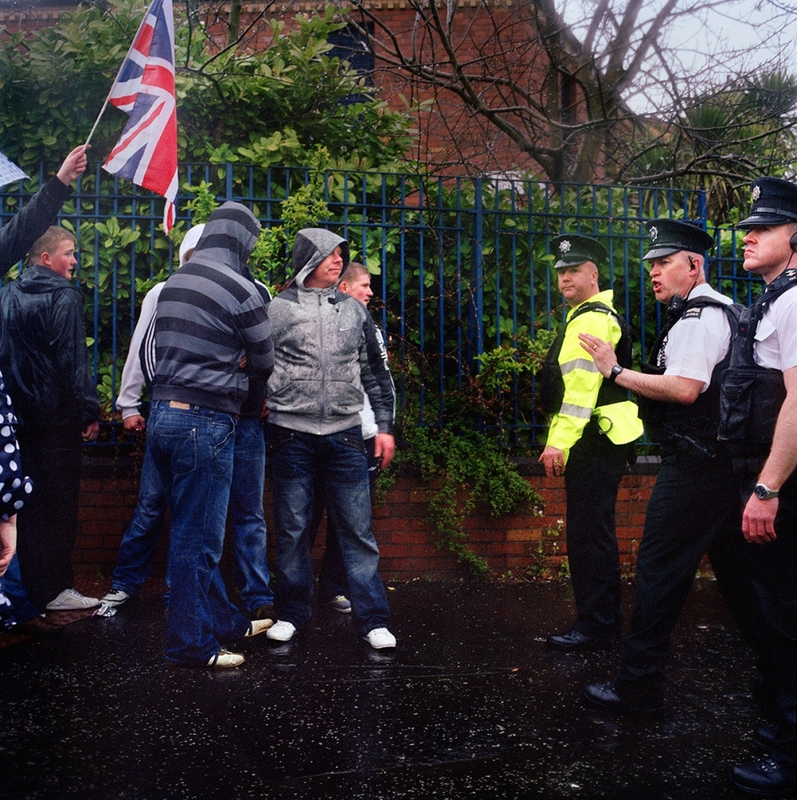 The complex nature of the conflict in Belfast meant that communities in conflict with each other were often geographically aligned, separated from each other by mere blocks. 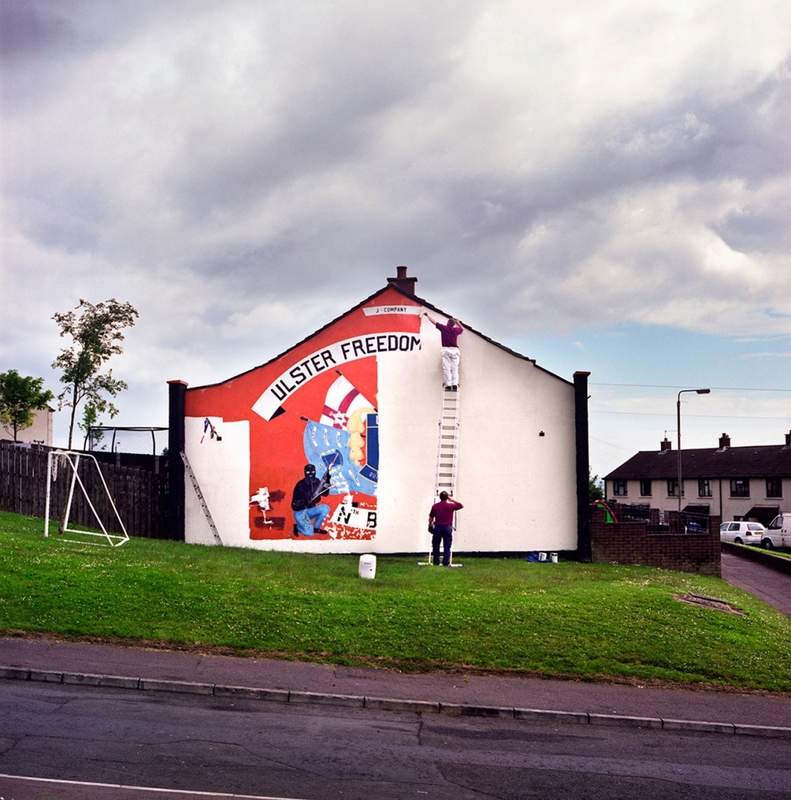 This meant the formation of peace walls both during the Troubles and perhaps more surprisingly after the 1999 Good Friday Agreement, which brought an end to outright hostilities, as a way to preserve peace. Men and My Daddy focused on the aftermath of conflict on one side of a peace wall in the Protestant loyalist estate of Tigers Bay. I would now like to explore the neighboring Catholic republican side known as New Lodge. Neighbors geographically, but worlds apart politically, this comparative study would serve to highlight the ongoing complexities of life after conflict. While the general mentality today in Belfast is in support of a peaceful future, many problems remain, especially in working class estates such as the New Lodge, which featured prominently in some of Belfast’s darkest historical chapters. Those who lost relatives or fought for a political cause, have struggled to adjust to political progression and are often disillusioned by their violent and at times tragic past. Young boys grow up viewing their fallen relatives as heroes and believing there is a battle to fight, they seem determined to push for a cause they little understand. This work will explore that while an area of conflict can progress politically, it often takes much more time for those who have been directly affected to catch up. This new work would stand as a stark and important comparison to Men and My Daddy, highlighting the haunting similarities of people born only streets apart but with a completely alternate mindset. A visualisation of the continued struggle to maintain peace is of great value and can provide much needed transparency to those with little knowledge of modern day Belfast. 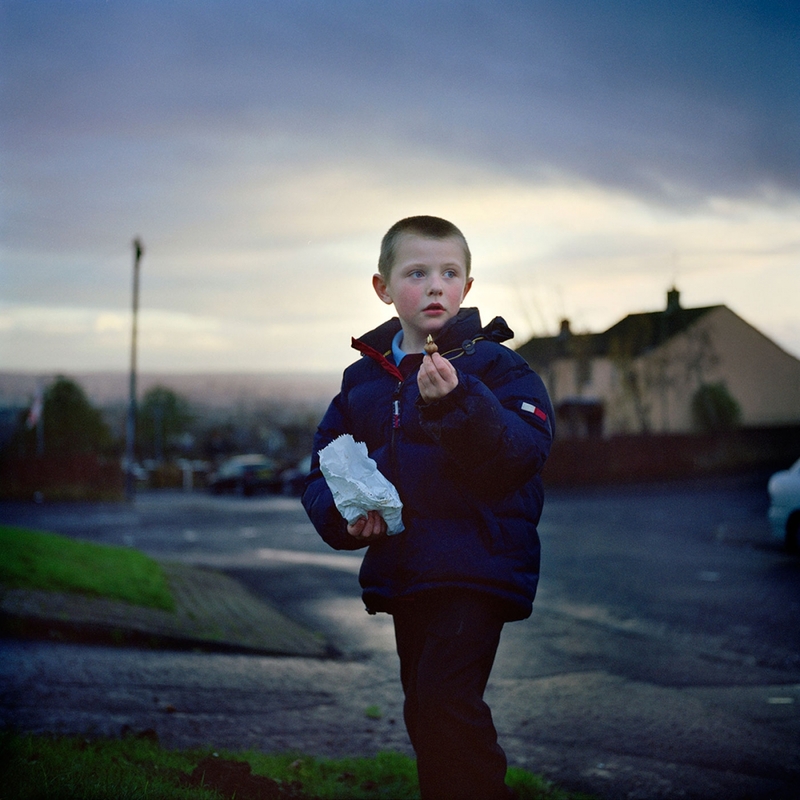 Adam Patterson is a photographer and filmmaker based in Belfast who works globally for a range of international companies and clients.